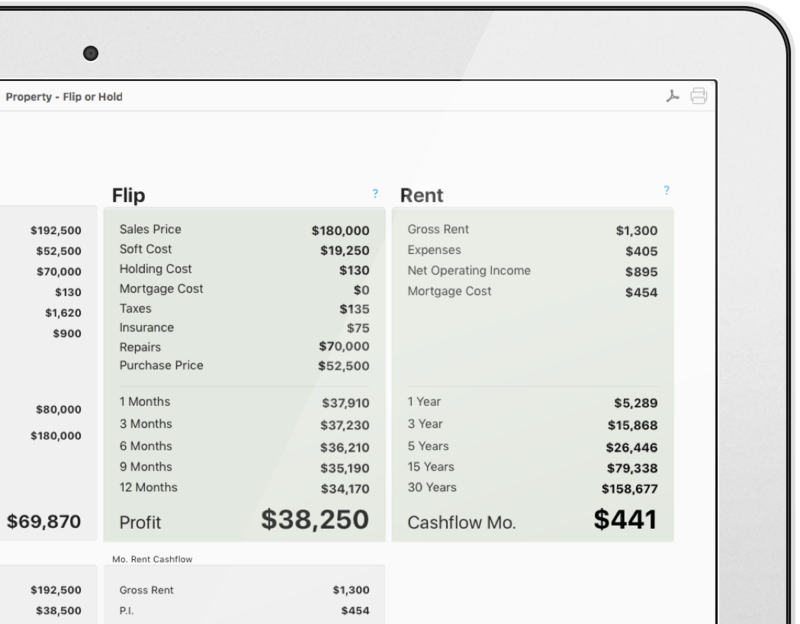 We are pleased to announce the release of Property Flip or Hold, our new financial app developed for macOS. Property Flip or Hold helps Real Estate Investors to quickly compare return on investment to Flip and take profit now or Hold and Rent property for passive income. Property Flip or Hold automatically calculates profit scenario by entering property information like After Repair Value, Repairs, Holding Cost, Taxes, Insurance, Mortgage information for purchasing for Flip, Rent details, Mortgage information for Holding and Renting for passive income. Maximum Purchase Price or Maximum Allowable Offer is automatically calculated by entering desired Profit Percent, Soft Cost Percent and Repairs. This gives a guideline for a Maximum Offer to purchase property for profit needed depending on Repairs. Monthly Rent Cashflow details Gross Rent, Principal and Interest, Taxes, Insurance, Property Management, Vacancy and Home Owners Association fees. 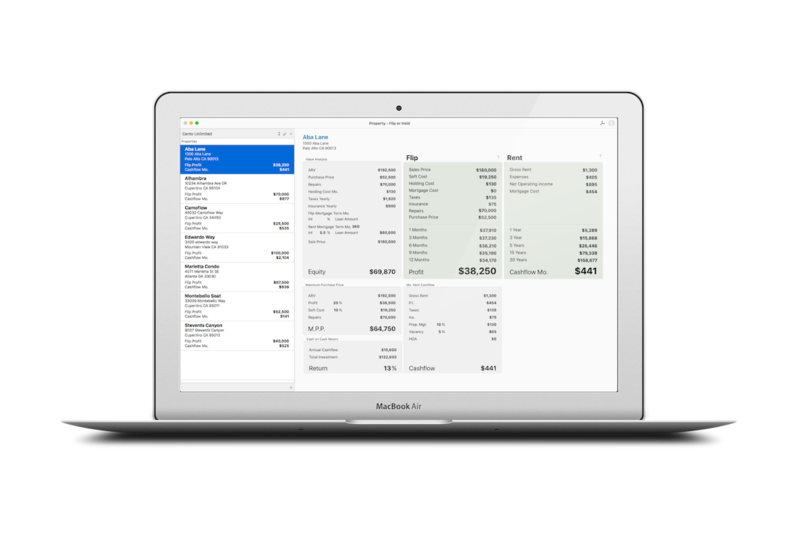 Cash on Cash Return is calculated based on your Annual Cashflow and Total Investment.